This round rotating wooden dining table is made of birch wood.With hand-carved crafts and gold foil crafts. 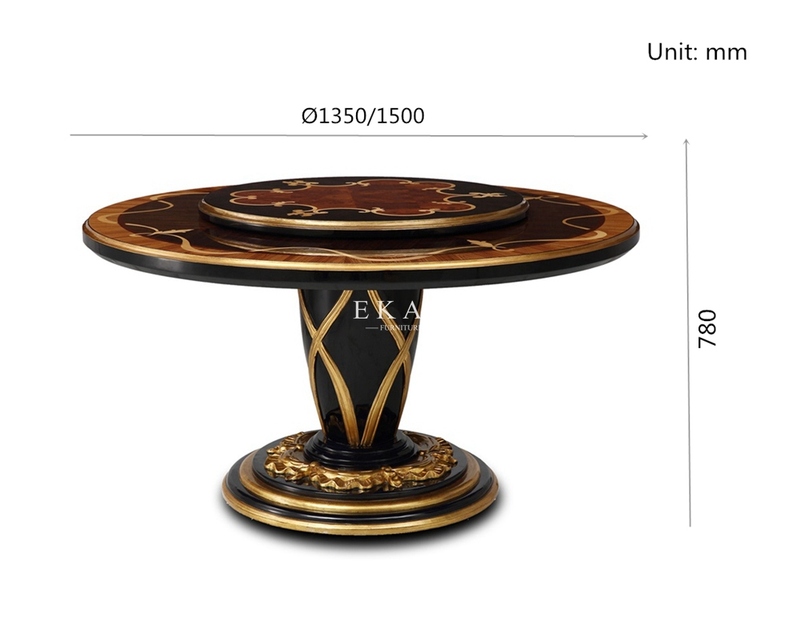 The table top use a few type of nature wood veneer, hand stitching pattern for the bottom embryo. 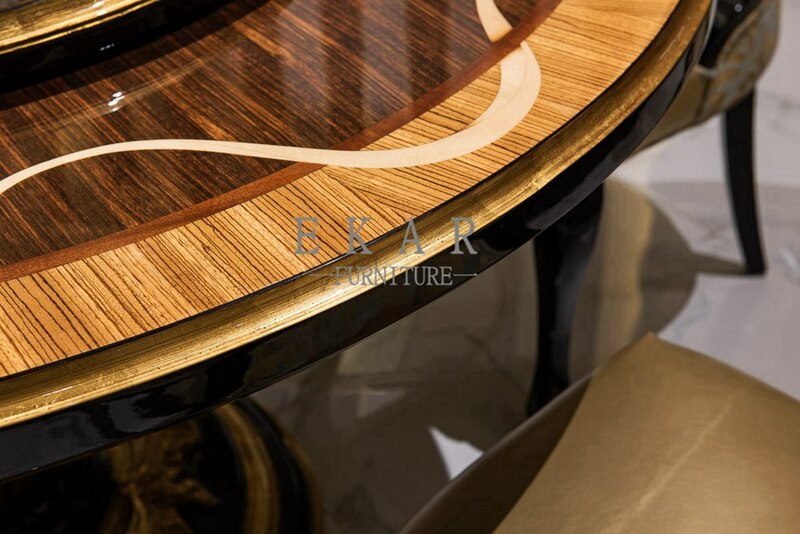 The surface of the table top use the piano lacquer technology, which is bright as a mirror. 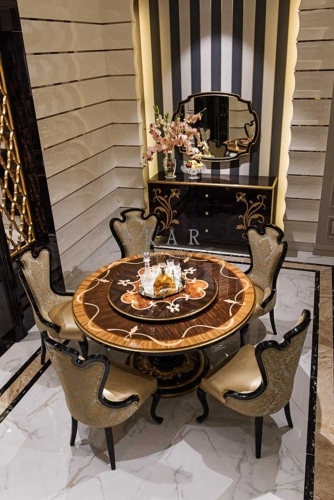 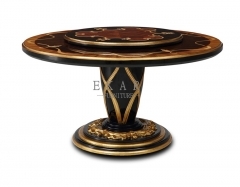 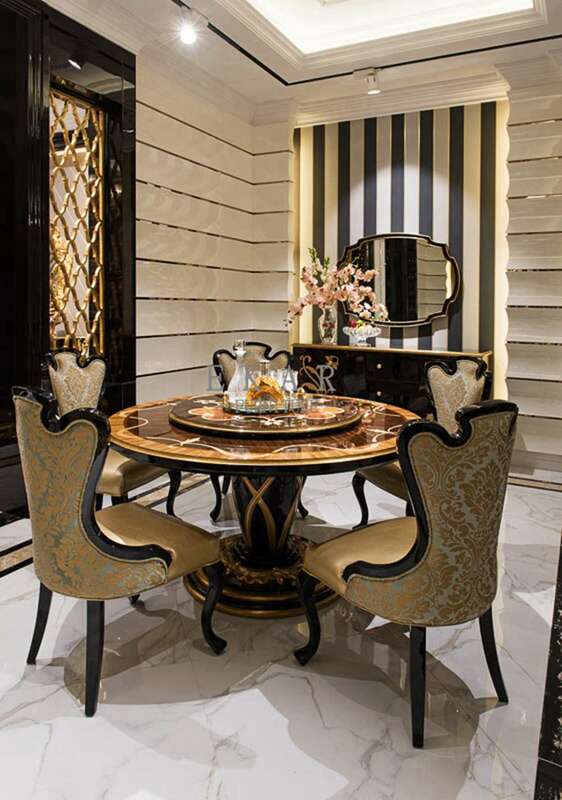 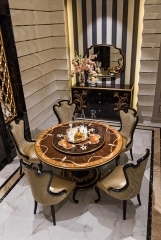 The part of gold foil adopt the gold sand handmade old technology, improve the luxury of this dining table.